In the past I have worked with MUSICA VIVA 1993-96 and the SONG ROOM and I love working with children. I also had the pleasure of working with 6 schools this year(2013). 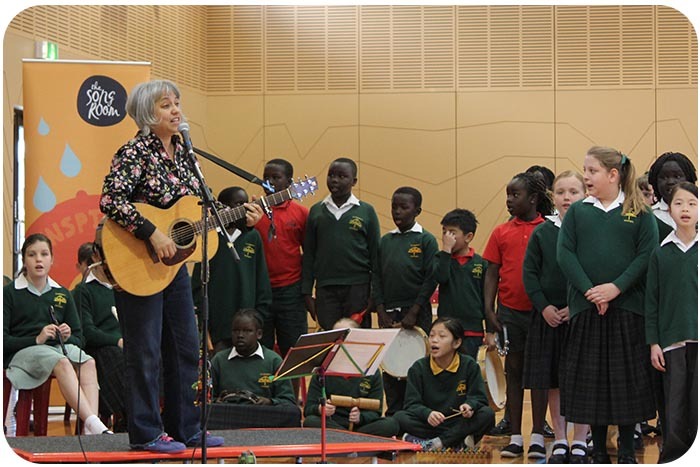 I was commissioned by the Songroom to write a school song for Saint Andrew's Primary School in Werribee based on thier motto" Live, Love & Learn".They now are singing this at assemblies and other gatherings. 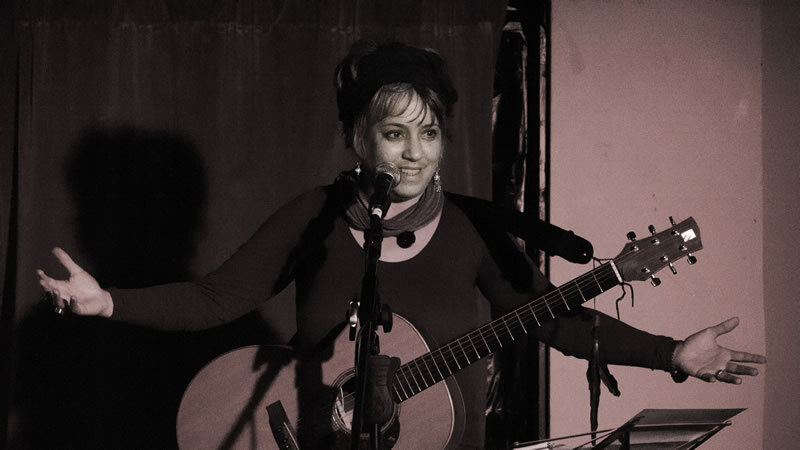 Also through the Song Room I had workshopped "Angellare`" in a music teachers workshop afew years before and it all came to fruition this year with their teacher Zoe Barry . The children of Debney Meadows Primary (listen here) re-created Angellare` with new lyrics about an owl baby who is leaving homecalle "Hoo Hoo can i follow you?" And finally I had the delight to work with with 3 primary schools in Melbourne over a 3 year period. 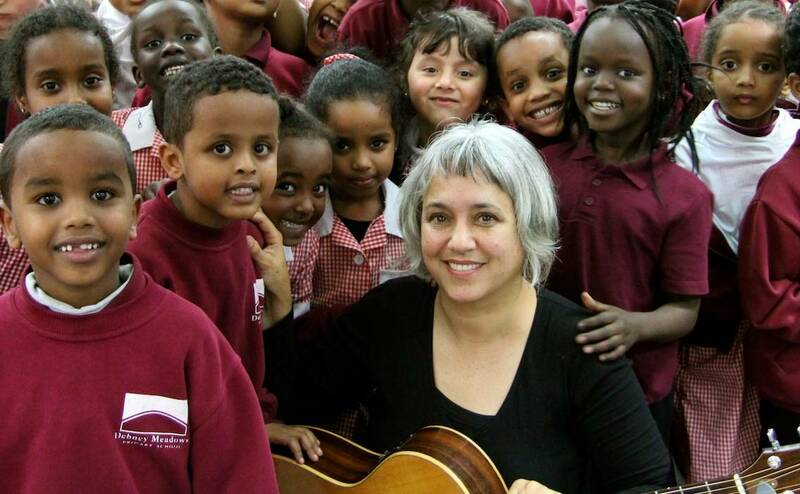 They were Princess Hill ,Brunswick North and Brunswick South West Primary Schools and I worked over a period of 3 months workshopping with the teachers Bruna Centafanti ,Marie Lyon and Anne Marie Secculi this choir of 90 wonderful children. It was called Coro Dei Bambini and its mission was to teach italian language and culture through song through linking the 3 schools in friendship through the love of italian language.We performed for the first time in late November 2013., 2014 and 2015 to delighted parents ,grandparents and teachers and made many good memories thanks to the dream of Italian teacher Marie Lyon.